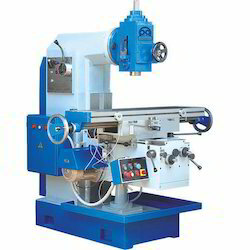 OM International Machine Tools is Manufacturers, Exporter & Suppliers Of Milling Machine Manufacturer brings the various types of Milling Machines to the industrial businesses with great quality in metals and affordability in cost with best prices in India and for exports all around the world. Which are applicable for machine shops and tool rooms of many Industries. 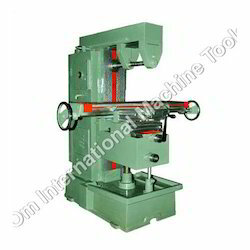 We are one of the widely acclaimed manufacturers and suppliers of Horizontal Universal Milling Machine. The offered horizontal universal milling machine operates on the materials, to shave off chips from the material surface. 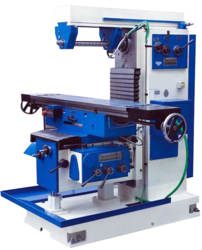 Our supplied horizontal universal milling machine is resistant to corrosion. 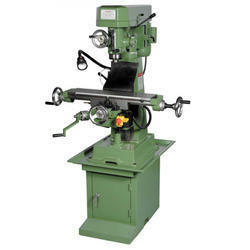 The offered horizontal universal milling machine is available at very competitive market rates. Size of Tee Slots 1/2" 1/2" 1/2" 5/8" 5/8" 5/8"
Longitudinal Automatic 12" 12" 15" 18" 24" 30"
We are one of the well-known manufacturers and suppliers of Vertical Milling Machine. The offered vertical milling machine is commonly used for the removal of extra and unwanted particles from the surface of materials. Our supplied vertical milling machine is provided with a rotary cutting tool, which moves perpendicular to the axis. We feel proud to introduce ourselves as one of the well-known manufacturers and suppliers of Universal Milling Machine. The offered universal milling machine is widely used for the removal of unwanted materials from the work piece, by using rotary cutters. Our supplied universal milling machines are commonly used to precisely shape and size the machine parts. We are one of the widely acclaimed manufacturers and suppliers of All Geared Vertical Milling Machine. The offered horizontal universal milling machine operates on the materials, to shave off chips from the material surface. Our supplied horizontal universal milling machine is resistant to corrosion. The offered All Geared Vertical milling machine is available at very competitive market rates.